Part of a poem by Emily Dickinson, a hero of the garden and the page, and my favorite poet. 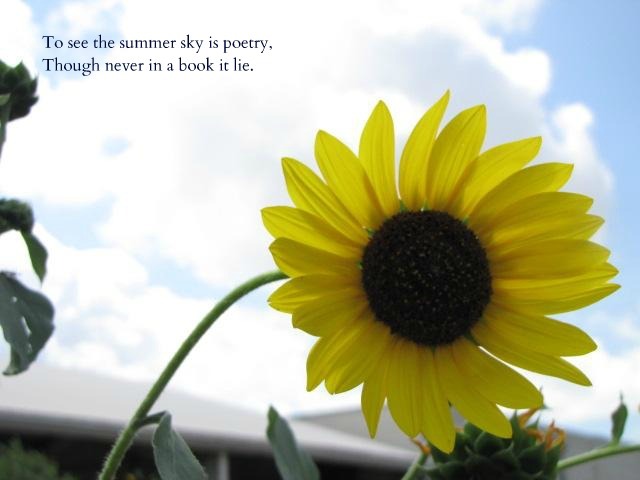 This litle poem is big enough to cover the expanse of the meaning of the sky. Posted in Summer and tagged Emily Dickinson, garden poetry. Bookmark the permalink. Love the E Dickinson quote-I tried one of the recipe’s and it was delish! We think you will like some of the garden party recipes, too. More to come about our gardens-stay tuned!